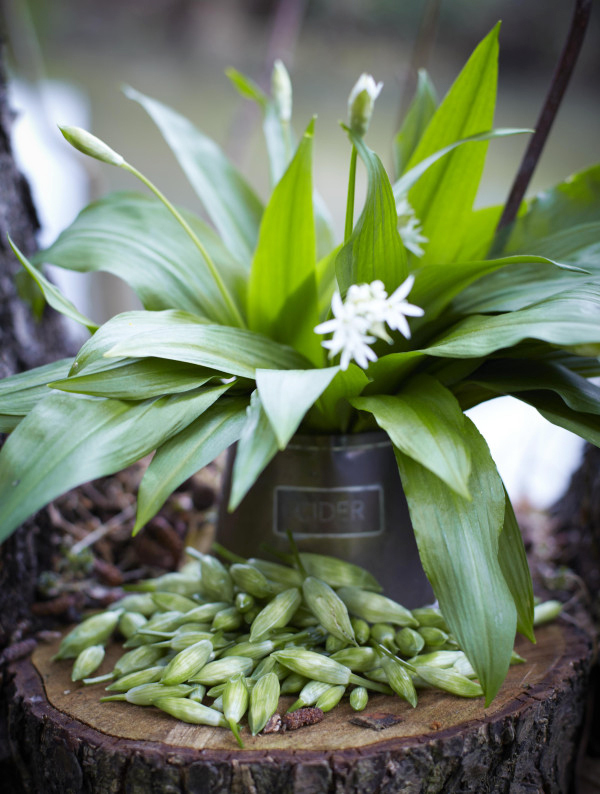 As Spring foragables go, one would be hard pushed to beat the fresh, garlicky crunch of a freshly picked Ramson bud. They're wonderful mixed raw into simple mixed leaf salads, or quickly flashed in a pan with a slosh of soy, squeeze of lemon juice and a sprinkle of sesame seeds. 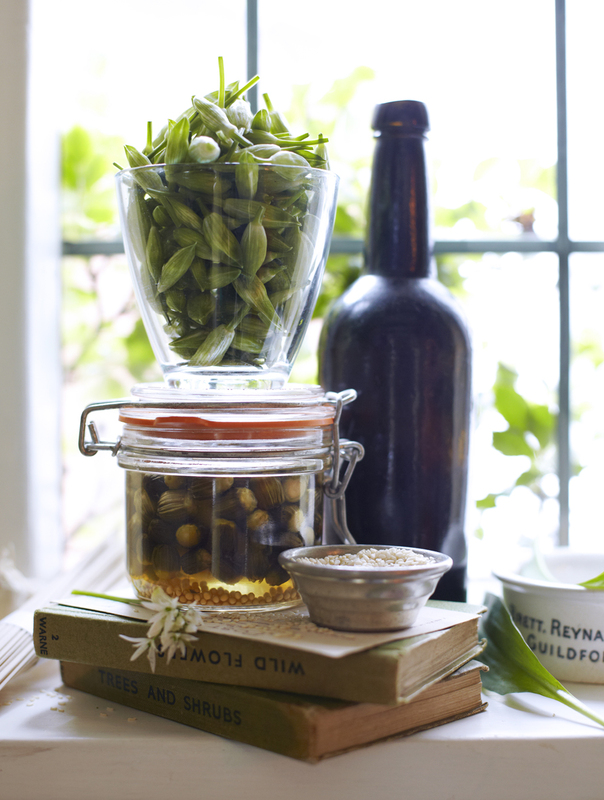 These pickled buds can be used instead of capers in many recipes; brining the buds before pickling gives them a moorish, mildly salty flavour. In a few weeks time, the same pickling process can be applied to Elderflower buds. 1 First brine your dandelion buds. Fill a mug two-thirds full with boiling water, then add the salt and stir until it dissolves. Bring the water level to just below the brim by adding buds, then leave in a cool spot for 2-3 days (stirring intermittently). 2 Strain the dandelion buds. Bring the vinegar to the boil, kill the heat and add the mustard seeds. Spoon the buds into the bottom of a small, sterilized jar and top up with the hot vinegar. Wedge in the lemon zest and bay leaf -leave in a cool dark place for at least two weeks before eating. Beautiful photos and an inspirational recipe!Thank you! thank you for posting this delicious article.Expecting more recipe like this in future.